You love to hear compliments from others. And when you’re upset, you often talk to yourself. 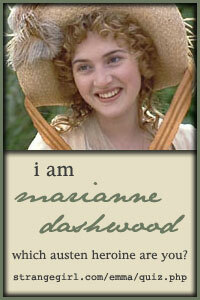 Mrs. Gardiner from Pride & Prejudice is your mother! You can count on her to be a true friend and companion who will give you wise advice. You will be proud to introduce her to any of your friends!